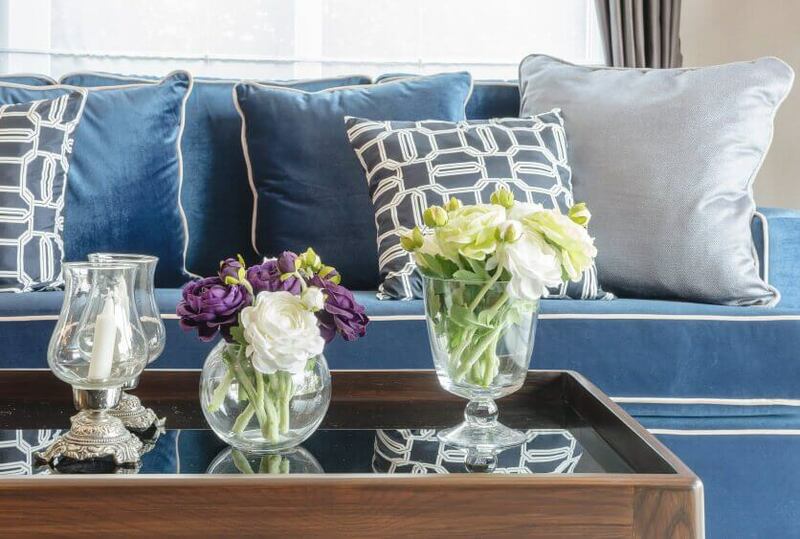 10 Easy Home Décor fixes That will make a huge difference. 20 Apr 10 Easy Home Décor fixes That will make a huge difference. It’s everyone’s desire to have a beautifully and perfectly decorated house. Having friends and family coming over and showing great admiration for your creatively decorated home is a priceless feeling. However, decorating a house to such a level requires that you really get your decorating juices flowing. For a fact, not everyone can actually afford to decorate their houses to certain levels. Some of the houses advertised in the online home blogs and home magazines take a fortune to decorate and all there’s left for so many homeowners is to simply admire them. However, you can still transform your home interior for the better without breaking the bank. There are affordable and easy ways to turn your house into a home that you will love. Here’s a list of some of the easy home décor fixes that will make a positive change in your home interior. The arrangement of your pillows. A simple arrangement of the pillows on the bed can make a great difference in your bedroom’s interior look. So would the placement of the throw pillows in your living room.It can get tricky sometimes when you don’t have a huge bed in the bedroom or when you don’t have huge space in your living room or the seats that accommodate throw pillows. However, such factors shouldn’t deter you from making those pillows work for your home interior. A good pillow arrangement will make a huge difference in the appearance of your interior space. 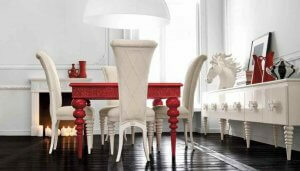 Most homeowners opt to have dining chairs that match. It’s actually attractive but there are those who love to break the monotony and go for an adventurous and classy look at the same time. You can have your dining chairs repainted into different colors to create that contrasting look. You could also have them cushioned or simply replace them with the ones that will make that dining area look more elegant depending o on the style you want to project. Your house doesn’t have to have the same layout year in year out. Changing the layout of your house as time progresses will bring out a very notable difference. When a friend comes over to visit, some will even think you have entirely refurnished your house whereas the only thing you did is moving around the furniture. You will discover your couch looks better in the new position. Rearranging your house makes you realize the many ways your house can look beautiful without even having to add new furniture or decorative items. It’s time to kiss plain boring walls goodbye. There’s so much you can do with a plain wall when you have lovely wallpaper designs at your disposal. Better still, you can have customized wallpapers. You may choose to have your favorite Bible verses, lyrics of a song, your favorite quotes, images or a theme of your choice created on the wallpaper. A lovely looking wallpaper that blends in with the rest of your interior should be your goal in the end. 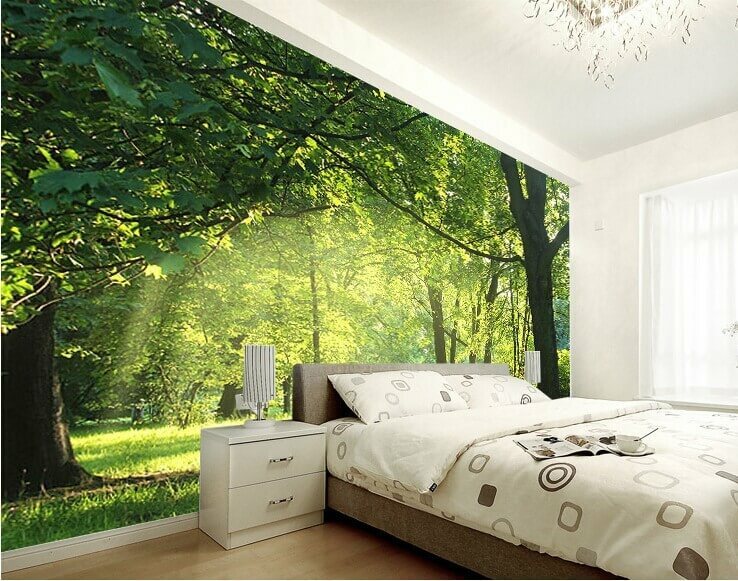 You can choose wallpapers in your living room, bedroom or even the corridor. Creativity is an integral element when it comes to decorating your home especially when you really want to minimize on cost and achieve the best results. You don’t have to buy new lamp shades, you can paint the ones you have and make them look new. You can also use jugs and jars as flower vases. Colored jars will really blend in very well with flowers and give your room a pleasant look. Play around with the colors, when it comes to drapes, carpets, furniture and even wall paint color to achieve this perfect color symphony. Let your creativity work overtime into transforming your home from tacky and boring to elegant and tasteful. There’s a great chance that you won’t lack several items in your garage that can be repurposed and repaired to serve you better. There could be furniture that can be repaired and repainted to bring a new look to your room or simply dismantled and changed into shelves that will provide more storage space for your home. Take a tour and look at the things you have at home, throw away the ones that can’t be repaired or salvaged and keep the ones that can be. 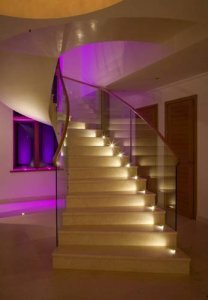 Lighting up the stairs in your room is also a way of bringing a different look in your room. Lighting has a way of spicing up the look of a house. You can also put decorative light bulbs in the corner of your room and bring an excellent look especially, at night. Make use of open kitchen shelves. 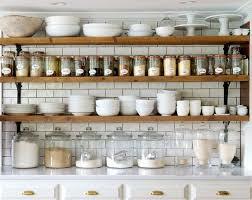 You can use these open shelves and put up cups or jars with great patterned styles. These patterned styles will bring out an interesting look that will transform your kitchen from just the place where meals are cooked into this tasteful and orderly place where meals are cooked. Swapping items from one room to another will bring out a brighter look in your house. Accessories such as pillows, carpets can be swapped and make your house look all different. You don’t have to necessarily buy a new set of pillows, swapping them will save you the cost as well as bringing a new look in your house appearance. You don’t have to throw away the old shelves rather you can turn them into magnificent shelves. All you have to do is create a wonderful frame along the edges of the shelves. You can choose to repaint the shelves so as to make them look as good as new. You can use these shelves to store books or important documents. Something that appears old can be turned into a very useful item. There are many impressive ideas that you can try and transform the interior of your home. It’s pretty evident that you don’t have to spend a lot of money to make your house look different from the above tips. Would it be satisfying when you always want to spend time at home because of how fascinating, breath-taking and homely it looks? There is an endless list of easy home décor fixes, just look at your home and note the things that you could change. Therefore, there is no excuse for living in a dull looking home.